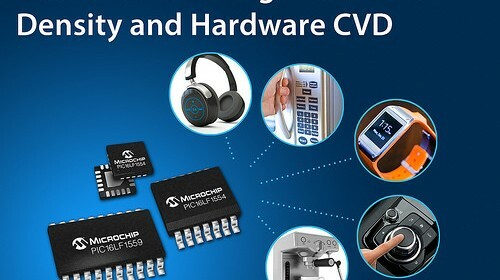 Microchip Technology expands low-cost 8-bit PIC® Microcontroller portfolio with new devices featuring dual ADC peripheral. 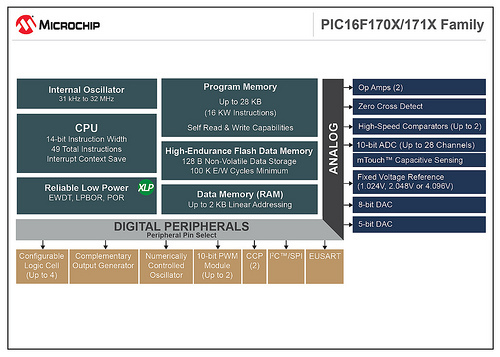 Microchip Technology Inc., a leading provider of microcontroller, mixed-signal, analog and Flash-IP solutions, today announced a new addition to its PIC12/16LF155X 8-bit microcontroller (MCU) family with the PIC16LF1554 and PIC16LF1559 (PIC16LF1554/9) devices. The PIC16LF1554/9 includes two independent 10-bit 100K samples per second Analog-to-Digital Converters (ADC) with hardware Capacitive Voltage Divider (CVD) support for capacitive-touch sensing. 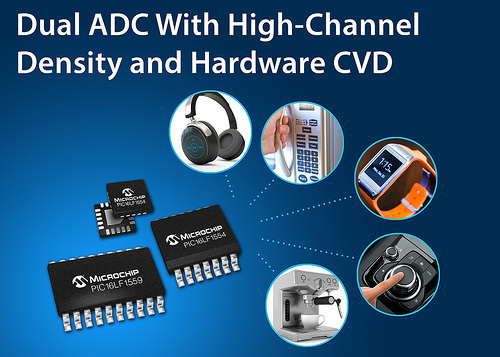 This unique ADC configuration enables more efficient sensor acquisition and assists with advanced touch-sensing techniques for extremely noisy environments, low-power applications, matrix keypads and water-resistant designs. 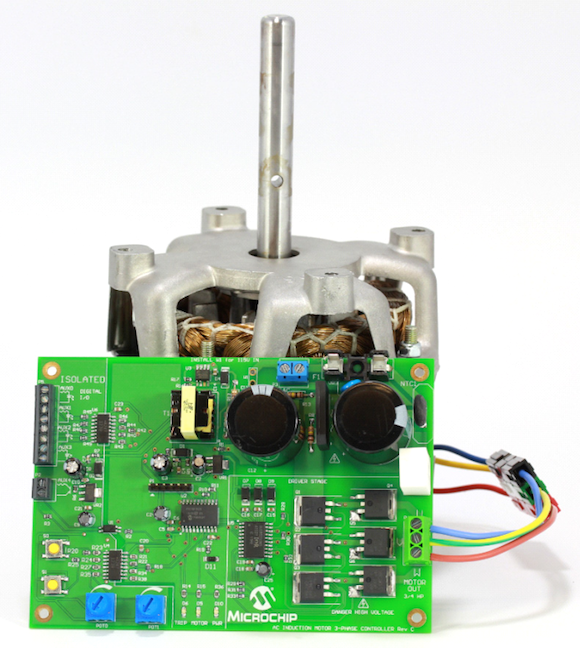 This application note from Microchip provides a detailed analysis of driving a single and multi-phase AC induction motor using the 8-bit PIC microcontrollers. It shows how to build a low-cost three-phase inverter circuit using PIC16F1509 to add speed control and soft-start to a single and multi-phase AC induction motor. Microchip Technology Inc., a leading provider of microcontroller, mixed-signal, analog and Flash-IP solutions, today announced from EE Live! 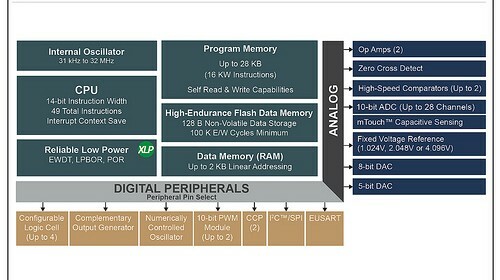 and the Embedded Systems Conference in San Jose the PIC16(L)F170X and PIC16(L)F171X family of 8-bit microcontrollers (MCUs), which combine a rich set of intelligent analog and core independent peripherals, along with cost-effective pricing and eXtreme Low Power (XLP) technology. Available in 14-, 20-, 28-, and 40/44-pin packages, the 11-member PIC16F170X/171X family of MCUs integrates two Op Amps to drive analog control loops, sensor amplification and basic signal conditioning, while reducing system cost and board space. These new devices also offer built-in Zero Cross Detect (ZCD) to simplify TRIAC control and minimize the EMI caused by switching transients. Additionally, these are the first PIC16 MCUs with Peripheral Pin Select, a pin-mapping feature that gives designers the flexibility to designate the pinout of many peripheral functions. The PIC16F170X/171X are general-purpose MCUs that are ideal for a broad range of applications, such as consumer (home appliances, power tools, electric razors), portable medical (blood-pressure meters, blood-glucose meters, pedometers), LED lighting, battery charging, power supplies and motor control. 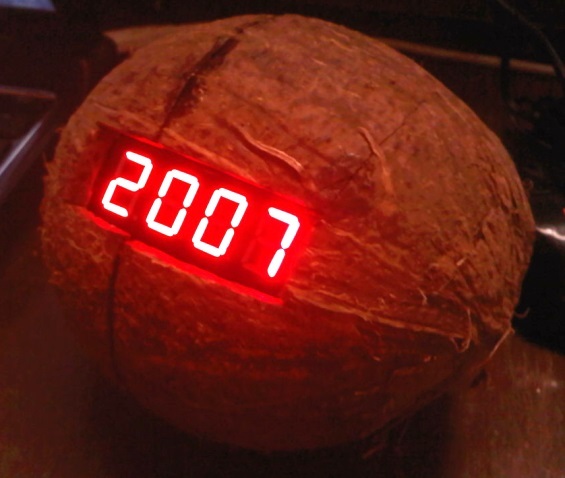 The accuracy of most of the current IC temperature sensors is about ±1°C at room temperature. However, at hot and cold temperatures, the uncertainty increases exponentially, resulting in a parabolic-shaped error curve. 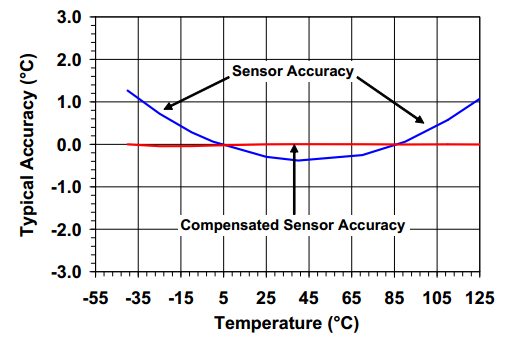 This application note describes a technique to enhance the accuracy of the sensor by modeling the error curve and use it to compensate for the sensor drift at a wide range of operating temperature. A PIC MCU is used to compute the equation for the curve and apply it to the sensor output to provide a more accurate temperature reading.